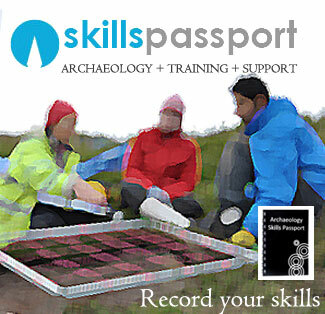 To draw a correctly annotated scale plan of a trench or feature that accurately portrays and locates the required elements is one of the four main records of an archaeological fieldwork project. You should understand the conventions, the scales and the means of depicting what you see on the ground into a horizontal plan of either a single context OR of multiple contexts in the same trench. PRINCIPLE: Understands the various elements that must be present on a plan, including the use of conventions and how the plan is located. Novice – Understands the basic information required for a plan, including scale, necessary information and grid coordinates. Though the plan will need to be checked for accuracy and degree of completion. The plan may be overly measured and be too dependant of joining dots rather than creating a natural drawing. Competent – Is bale to setup a drawing and create an accurate representation of the feature/s Enters all the correct drawing information with minimal checking. Contexts and stones (for example) are drawn to scale and resemble the actual feature. Proficient – Can easily draw any site plan and understand the concept of enhancing the drawn record with appropriate drawing conventions that do not obscure or confuse the plan but enhance the clarity of the final drawing. Learn the correct conventions to depict what you draw, and remember that annotations help the next person to view the drawing to understadn better what you are trying to show. Use a scale that is appropriate to the task. A site or groundplan drawing might be fine at 1:50 , but you may be better with 1:20 to et more detail. Use different pencils to help visually annotate the drawing. A darker thicker line can show drops and edges. 6H is best and always try to use “permatrace” – now called drafting film, as it is waterproof and archive stable. Check your plan has: North Arrow; Scale; Name; Date; Drawing Number (cross referenced on Record Sheets); Scale bar, Levels, GRid coordinates of at least two points, and context numbers with annotations. Remember plans have an interpretive function as well as being part of the recording system, because the draughtsperson makes conscious decisions about what should be included or emphasised, however, there is also the survey, photographic and written records to back this up.